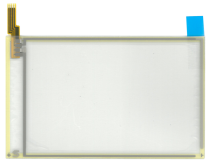 Resistive touchpanel for EA DOGS102-6 and EA OLEDS102-6GGA, analog. 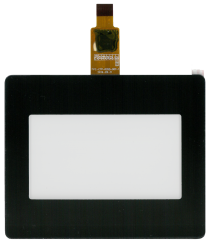 Capacitive touchpanel (PCAP) for EA DOGS102-6 and EA OLEDS102-6, analog. Controller GT5663 with I²C interface included. 6 pin FFC connection. Matrix touchpanel with 10x6 areas. Fitting to EA KIT240-7, EA W240-7 and EA P240-7. 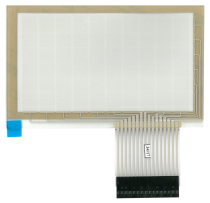 Resistive touchpanel for EA DOGM128-6 and OLEDM128-6, analog. Resistive touchpanel for EA DOGL128-6 and OLEDL128-6, analog. 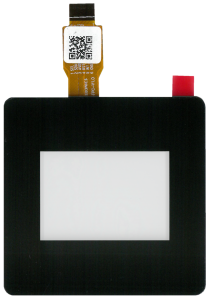 Capacitive touchpanel (PCAP) for EA DOGL28-6 and EA OLEDL128-6, analog. Controller FT5316 with I²C interface included. 6 pin FFC connection. Resistive touchpanel for EA DOGXL160-7, analog. Resistive touchpanel for EA DIP180-5, analog. Resistive touchpanel for EA DIP240-7, analog. Resistive touchpanel for EA DOGXL240-7, analog. Resistive touchpanel for EA DOGM240-6, analog.